WE DON’T WAIT FOR GOVT! THE two men have never met, but they are cut from the same cloth. Meet Amos Matsimela (54) and Pedro Mahlangu (27), a pair of true SunHeroes. Instead of complaining about how government is failing the people, they rolled up their sleeves and chose to make a difference in their communities. They dedicate their time to changing their kasis and expect nothing in return. Amos, from Kontant, north of Tshwane said he started repairing potholes when he realised they were death traps. He said he could no longer sleep peacefully when all he heard at night was the sound of drivers slamming on brakes. “There are fewer accidents and punctures. His fellow SunHero, Pedro lives in extension 11 of Mamelodi East. 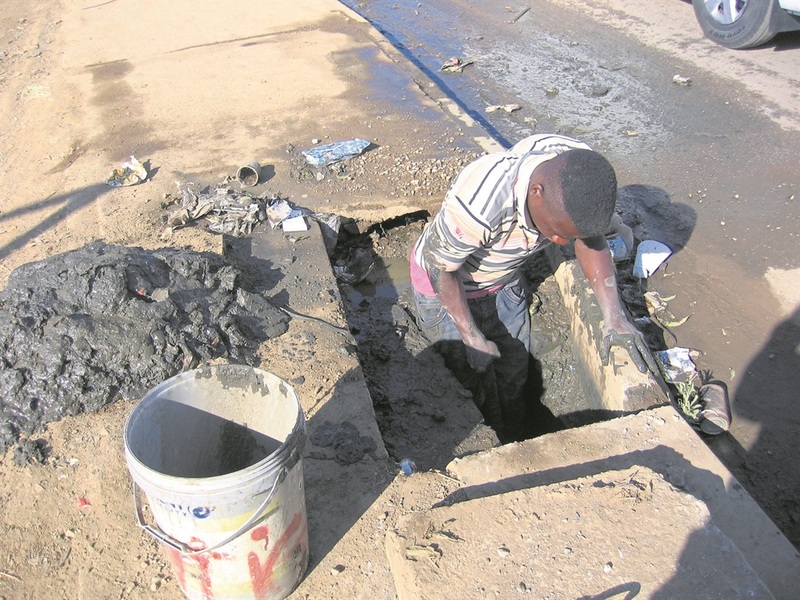 Pedro said he grew tired of water from a blocked stormwater drain in his kasi flowing in the streets. Instead of whining about the problem, he took it upon himself to clean the drain. “I love to make a difference in my community,” he said. Pedro said his actions were inspired by love and a desire to raise awareness about health hazards. Pedro said he hoped to inspire other youths to keep their kasis clean. 3 SKOBOS ARE BEASTS IN THE SHEETS! 4 PHONE TRACKS BURIED MAN!